Gregory Sanders graduated from Lakeland in 1992 with an Associate of Arts degree. The Lakeland Foundation has named Gregory L. Sanders '92 of Hudson as its executive director effective Jan. 2, 2019. In this role, he will also serve on the president's cabinet as vice president for institutional advancement to collaborate with senior leadership and align fundraising with the college's strategic priorities. Sanders previously served as executive director for the Lake Health Foundation where he consistently surpassed philanthropic goals. He succeeds Bob Cahen who will remain executive director emeritus for The Lakeland Foundation. 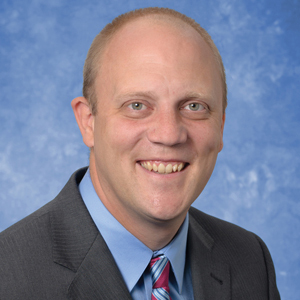 "Greg is an accomplished professional bringing more than 20 years of experience to our table," said Lakeland President Morris W. Beverage Jr. "Growing up in Lake County and as a graduate of Lakeland himself, he also brings the personal ability to communicate the college's importance across a range of audiences." In his new role at Lakeland, Sanders will provide strategic design and planning for all fundraising from charitable foundations, corporations and individual donors. He will also provide leadership for The Lakeland Foundation's major gifts campaign currently underway, Futures Rising, which focuses on increasing student success by reducing barriers to achievement. "As a proud graduate of Lakeland, I'm excited about what the future holds for me both personally and professionally. Lakeland is the institution that I credit for pointing my life in the right direction when I needed direction most," said Sanders. Previously, he was also a development director in various roles for MetroHealth Medical Center, Cleveland Clinic and University Settlement. Sanders holds a Bachelor of Science degree in education from Kent State University and an Associate of Arts degree from Lakeland Community College. In 2014, he was inducted into the Lakeland Alumni Hall of Fame.